Alice goes grocery shopping with me during Daddy Camp and part of her "duties" has been to pick out some fresh flowers each week. The first week was pink roses. 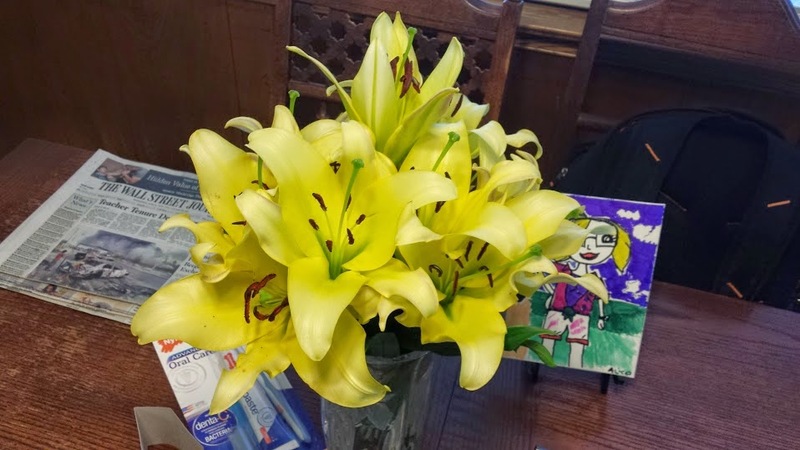 This last week was some exotic lily that has had a very strong and wonderful perfume. We've all decided we loved this week's pick; visual and olfactory impressiveness!